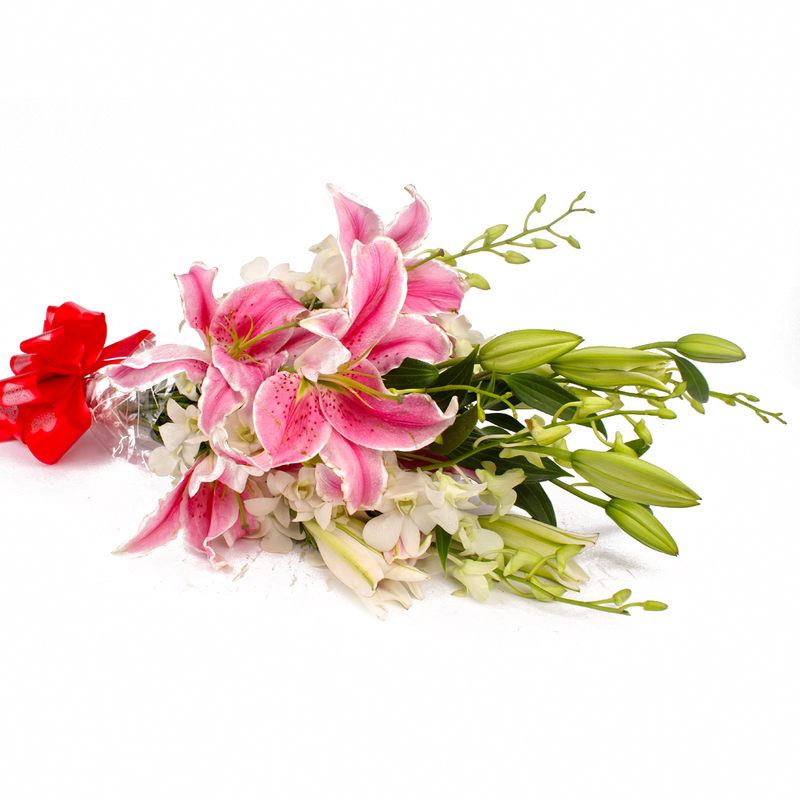 Product Consist : 10 Stem of Mix Flowers like Orchids and Lilies with white fillers in Cellophane Wrapping. 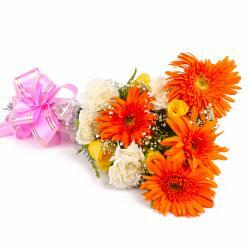 Stylishly sophisticated, elegantly chic this is incredible bunch of flowers from Giftacrossindia exude class. No wonder people have maintained flowers as their best choice of gifts for special occasions like Birthday, Anniversary, Baisakhi, Dhanteras, Womens Day, Diwali and many more. 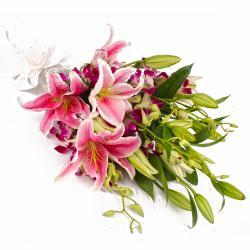 This is a classy bunch of ten Stem of Mix Flowers like Orchids and Lilies that are adorned in cellophane paper wrapping for a better grip and attractive packaging. 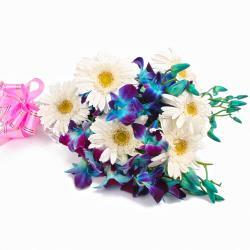 A matching ribbon is also used to tie the bunch in bow shape. 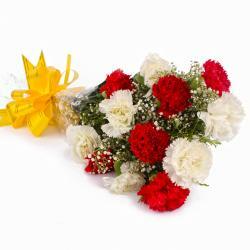 This splendid gift can be delivered across all major locations of the world with its impeccable delivery services. So go on and book your order now to send love to dear ones. 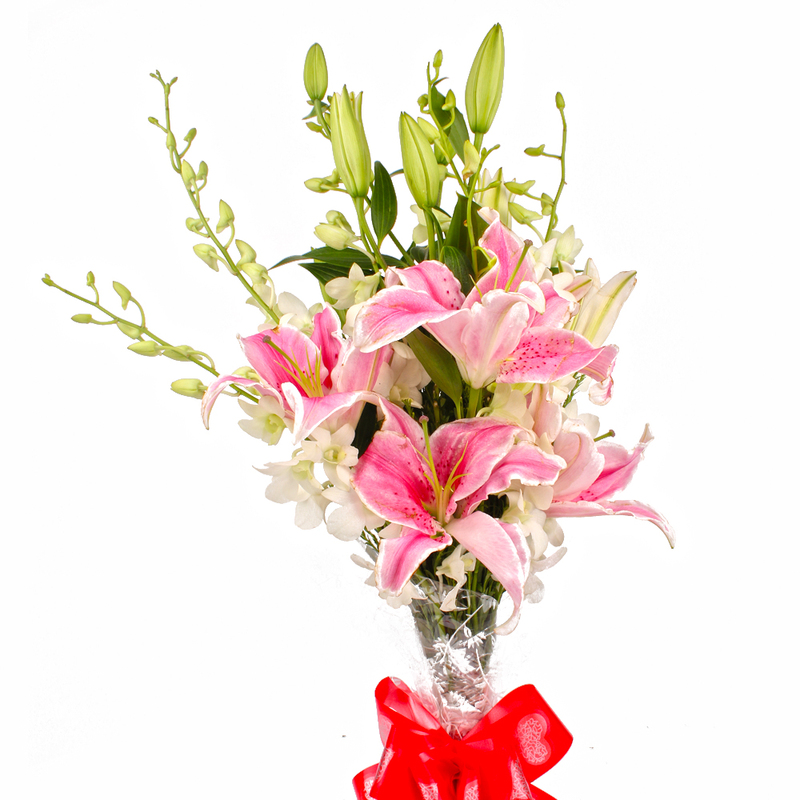 Product contains : 10 Stem of Mix Flowers like Orchids and Lilies with white fillers in Cellophane Wrapping.